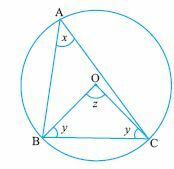 Q 4: BC is a chord of circle with centre O. 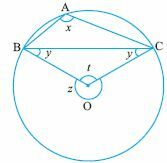 A is a point on the major arc BC as shown, prove that angBAC + angOBC = 90. 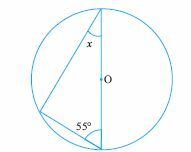 Q 5: Find the missing angle. 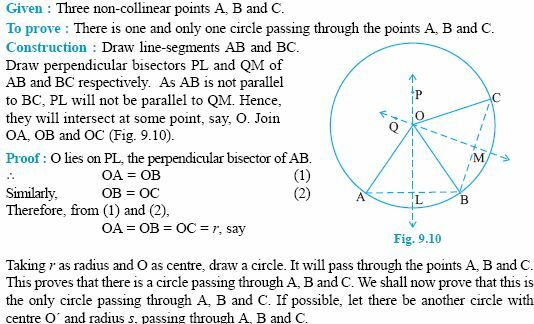 Q 6: Two diameters of a circle intersect each other at right angles. 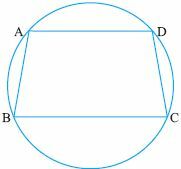 Prove that the quadrilateral formed by joining their end points is a square.